This winter was long. It was cold, snowy and generally gross. Oh, and I couldn’t run for roughly three straight months. Pretty much any repeat marathon runner will tell you it truly is an addiction. Take running away, and the rest of your life seems harder. Throw in some (self-diagnosed) seasonal-affective disorder, all the delicious foods (read: all the calories) from around the holiday, some sinus infections, a surprise allergic reaction to said sinus infection’s antibiotics, and you’ve got a hot mess. But spring is in the air, and I got the best news last week: my distal tibial stress fracture is healed! I can run again, and that means my life already feels like it’s getting back on track. Before we launch into how amazing that is, and what I’m doing to get back to running safely and conservatively, let’s take a step back, because I’m new at all this blogging stuff, and you have no idea what I’m talking about. 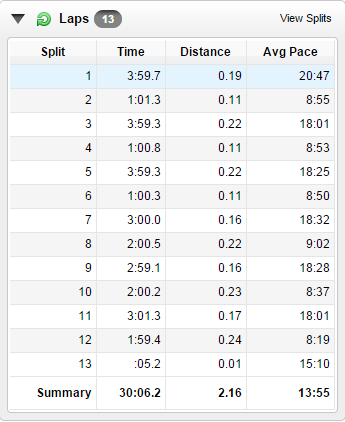 Last fall, I had my first double-marathon training season. Coming out of it, I thought it went great! I ran a PR (3:21:53) in the Berlin Marathon and followed that up with a respectable 3:38:24 in the New York Marathon. But at some point along the way, I started noticing that my shin bone hurt to touch. My calves often get tight, so I have a habit of running my thumb up and down where my calf muscle meets my shin bone to massage it, and at some point (I don’t remember when exactly…I was probably in denial at first), that didn’t feel good! When I was running, it was generally fine, but if I walked down a flight of stairs in “heels” (I don’t wear heels, really, but I have one pair of booties I LOVE with a roughly 1.5” heel to them), I would definitely feel something. When I was with my family over Thanksgiving, I finally decided to pull the trigger and schedule a doctor’s appointment. I went in Monday, Dec. 8, and the next day, Tuesday, I got an MRI. 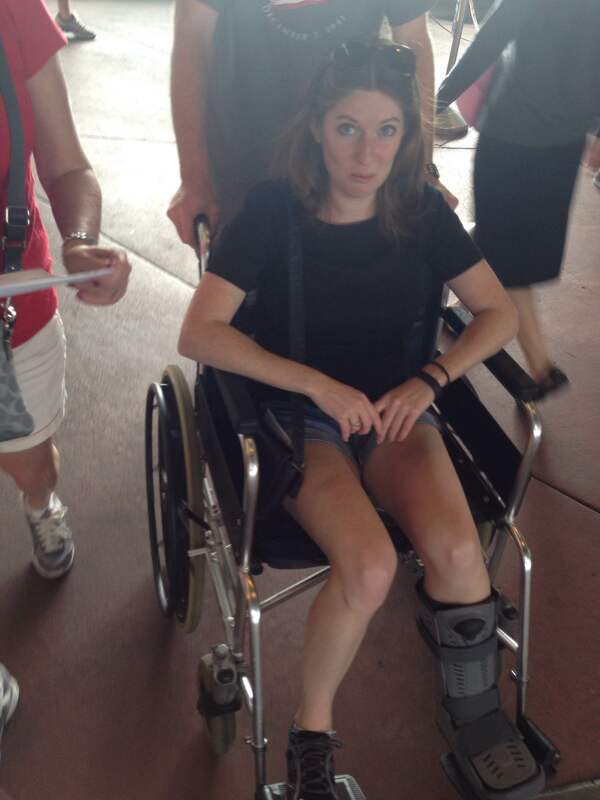 By Friday, I was in a walking boot. The diagnosis: a distal tibia stress reaction, likely low grade, lots of edema (aka inflammation). I was told I’d need five weeks in the boot, and then I’d be good to go. Perfect, I thought! I can be out of this thing, and start training for the Boston Marathon and only have a slightly abbreviated training program. Fast forward five weeks, I go to the Doc, she probes around and gives me the all clear to run. I’m ecstatic. I take it easy (for me), and start with a 15 min., 1.65 mile run on January 19. Nice and easy. I follow that up two days later with a 20 min., 2.37 mi. run, one day later with a 25 min., 3 mi. run. Another two days later (we’re looking at Jan. 24), I ran 3.12 mi. in 27.5 mins. I’m still feeling alright. Then, there was my big one the following day: a 52 min., 6.05 mile run…what was supposed to be my first “long run” in my Boston build-up. But after that run, walking sure didn’t feel too great. In fact, I’d say I had significantly more pain in every-day activities, like walking, starting that afternoon than I ever did before the initial diagnosis. It was time to go back to the doctor, and for a second MRI. This time, the news wasn’t good; there was a clear fracture line…something that the inflammation obscured the first time around. This time the Doc said it was time for two weeks on crutches and another three weeks in the boot after the time in the crutches. On March 7, I had my THIRD MRI in as many months, but finally, on March 9, exactly three months after that first MRI, the Doc sent me the best news ever: the fracture line was gone and there was no hint of inflammation. I was free of the clutches of the dreaded boot! Huzzah! Anyway, I am now free to run! I’ve never been so happy! But I’m also very serious about getting my return to running right. One thing three months off really drives home is how little I ever want to have to take that much time off again. Do you know what three months off really gets in the way of? Goals. And friendships, when you have so many friends that are runners, as I do. So, to do this right, I researched coming back into running pretty extensively. I obsessively checked Reddit’s r/running, I read blogs, I read extensive scientific research. And I settled on a pretty straight-forward recovery guide developed by Brigham & Women’s Hospital. It’s available here, if you want to take a look. The first step, and the step I took as soon as I got home from work the day the Doc gave me the good news, involved hopping. A lot of hopping. Seriously, I spent like an hour hopping around my apartment on Monday night. But it went well! No pain during, and no pain after when I was poking at the fracture site. With that, I got to move on to the next step (after a day of rest): a series of 30 min. run/walk routines. But first….that hopping made me so soar! The next day, I felt like I had raced a Half. It was ridiculous! Nothing some foam rolling and a couple nights in compression socks couldn’t fix, but I was so shocked (/sad). Anyway, on to the run/walking! This was interesting for me, because I’ve never done any sort of run/walking before. The closest I’ve ever come to that is track workouts, if you want to call the 30 second recovery between reps run/walking. The first day was supposed to be 1 min. running, 4 min. walking x 6 (so a total of 30 mins). I as feeling good though (and frustrated by the fact that there was so little running), so after the first three sets, I upped it to 2 min. running, 3 min. walking. In the end, I ran a total of 1.02 mile over 9 min. of running. Not bad! The next few days, I also took some liberties with the program, but I didn’t go crazy (in my opinion). The second day I did 2 min. run, 3 min. walk x 3, 3 min. run, 2 min. walk x 3 for a total of 1.98 mi. over 15 min. of running. The third day I did 3 min. run, 2 min. walk x 3, 4 min. run, 1 min. walk x 3 for a total of 2.76 mi. over 21 min. I’ve been running every other day, and in between run sessions I’ve been cross training (so far two cycling classes and a barre class). I’m still feeling good, with is very exciting! I think the key is for me to stick to the plan and stick to a significant amount of cross training. It’s my hope that I can rebuild my running muscles without sacrificing some of the muscles I’ve built over the past three months to balance out those running muscles to continue down the path to injury-free running. Anyway, as I mentioned, I’ve never blogged about running before (or anything else, beyond a journalism blog I had to do in college for one of my classes), so I’m new to this. But I’ve always found running blogs invaluable. I’m an avid consumer of race recaps! My hope, with this blog, is that I might be able to help someone else out. For now, I hope someone else can read about my recovery and learn from it. In the future, I hope to write some race recaps of my own that someone might find useful. I’m also a recovering journalist. I’m finding myself writing a lot less lately, and I guess I need a new outlet! If you have any feedback or comments, I’m all ears! Posted on March 17, 2015 July 21, 2015 by KaitlynPosted in Injury, Injury RecoveryTagged Injury, Injury Recovery, Stress Fracture. Previous Previous post: Welcome to PRs & Chocolate Bars! Next Next post: The Ghost of Injuries Past, Or A New Problem?